LOS ALAMOS, N.M., November 20, 2017– In a breakthrough development, Los Alamos scientists have shown that they can successfully amplify light using electrically excited films of the chemically synthesized semiconductor nanocrystals known as quantum dots. The quantum dot films are integrated into devices much like the now-ubiquitous light-emitting diodes (LEDs), but, in this case designed to sustain the high current densities required for achieving the optical-gain regime. One sees laser diodes every day in laser pointers, barcode readers and the like, and a key element of such devices is an optical-gain medium, which instead of absorbing incident light, amplifies it. 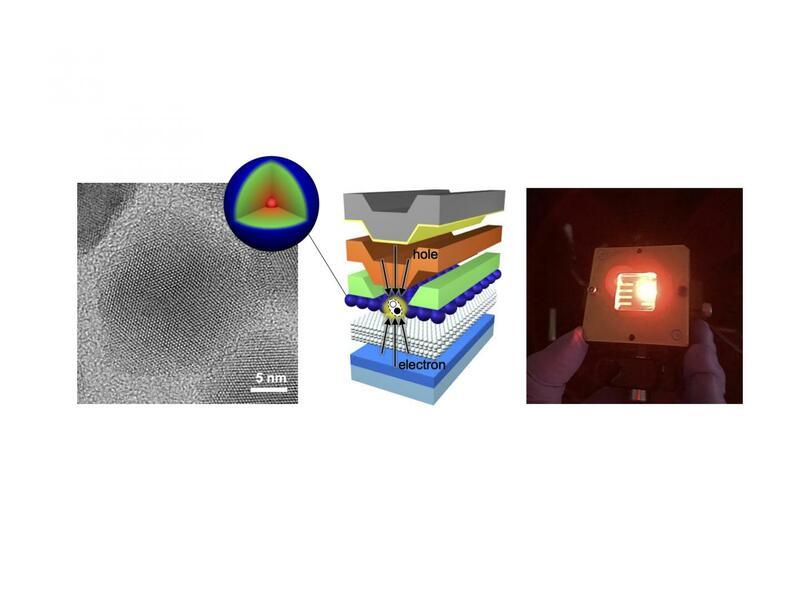 Publication: Jaehoon Lim, Young-Shin Park, and Victor I. Klimov, Optical Gain in Colloidal Quantum Dots Achieved with Direct-Current Electrical Pumping, Nature Materials, http://dx.doi.org/0.1038/nmat5011. Project members: Jaehoon Lim (Postdoctoral Research Associate), Young-Shin Park (Guest Scientist, UNM), Victor I. Klimov (Laboratory Fellow, Project Leader). Acknowledgements: Spectroscopic studies and optical-gain and lasing modelling were funded by the U.S Department of Energy Office of Science. The work on the quantum dot synthesis and device fabrication was supported by the Laboratory Directed Research and Development program at Los Alamos National Laboratory.